First the Germans and now this! Spain’s shock elimination from Russia 2018 against the host, Russia, on penalties Sunday has rendered the World Cup betting odds unrecognizable from the list of favorites we began the tournament with three weeks ago. It’s also likely to have frustrated thousands upon thousands of gamblers who backed “La Furia Rioja” to repeat its 2010 glory this year. But Spain’s performance was labored. It was an exercise in possession without penetration, with attackers unwilling or unable to make darting runs into space, and a midfield, for once, incapable of finding the creative pass to unpick a well-organized Russian defense. Russia had well and truly, in soccer terms, “parked the bus” and — beyond a 12th-minute Ignashevich own goal — Spain failed to find a gap. Finishing 1-1 after extra time, it was the turn of hometown hero, goalkeeper Igor Akinfeev, to shine, saving two penalties and sending Russia through. 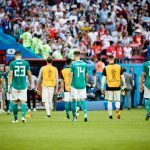 Russia may have had home advantage, but it was the “worst” team of all 32 heading into this tournament — at least according to the FIFA rankings. It was 40/1 before the first ball had been kicked in anger, but its spirited performances, willed on by raucous support, have forced bookmakers to slash those odds in half, to 20/1. Not only did we lost Spain over the weekend, but we also lost two GOATs, in Messi and Ronaldo, as Argentina and Portugal crashed out on Saturday. While it’s sad to see the two greats grace the World Cup stage for what will surely be the last time, it serves a reminder that one man does not make a team — even if he is a GOAT. Argentina’s match against France on Saturday must go down as one of the greatest World Cup games of all time. 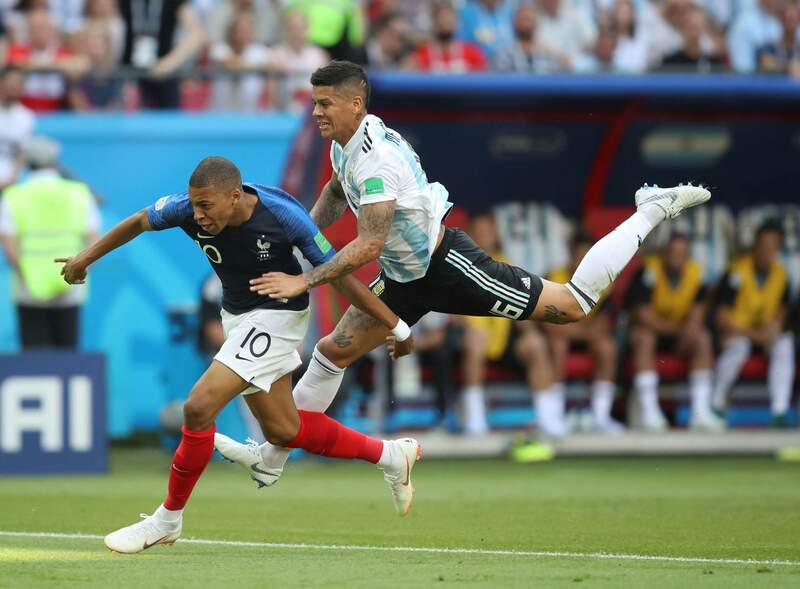 A thrilling, end-to-end, 4-3 goal-fest, it heralded the arrival on the world stage of Kylian Mbappe. The 19-year-old wunderkind signed for Paris St Germain from Monaco last summer for an eye-popping $217 million, and on present form that seems like a bargain. With electrifying pace and ball control, Mbappe scored twice and won a penalty to propel his team into the quarter finals. France’s performance now makes it joint favorite with the bookies, at 7/2, along with Brazil, which plays Mexico today. The status of second favorite is now shared between three teams — Croatia, England and Belgium, all at 6/1. Brazil has a star-studded roster of players but will need to find rhythm if it is to lift this trophy. Meanwhile, France — and Mbappe — are just warming up. Remember the name. 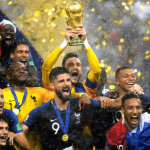 World Cup Betting: France Now Favorite But Should It Be?